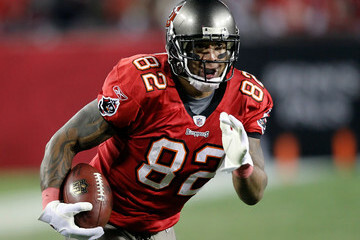 Kellen Winslow shared with ESPN’s Pat Yasinskas that he’s ready to go. He’s been practicing in San Diego – with Josh Freeman and company – and is jetting down to Miami to keep the momentum going. He was jumping and diving for balls, something Bucs brass would have been scared to see a year ago, when they still held him out of practice due to past knee surgeries. “The knee is feeling really good. I just love the game so much. This is all I’ve ever wanted to do. I was born and bred for this. It’s all I want to do. I just want to get back to playing football,” said Winslow.